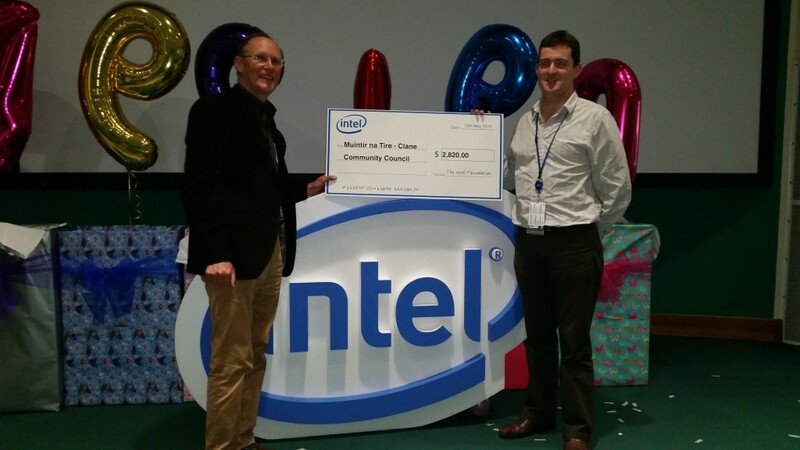 Clane Community Council were delighted to receive a community grant from Intel again this year, reflecting the significant number of hours volunteered by Intel employees in Community Council activities like Tidy Towns and Community Games. Chairman Des Drumm attended the award ceremony on the Intel campus in Leixlip recently, with one of the Intel employees that volunteers on Community Council activities, John Kennedy, there to help with the handover. If you know of any Intel employees in the community, please remind them that hours they volunteer to activities like Tidy Towns and Community Games can have the bonus affect of helping to raise valuable funds for the community. Clane Community Council are grateful to Intel for not just their generous financial contribution, but also their willingness for their employees to put their skills and enthusiasm to work in the community too. 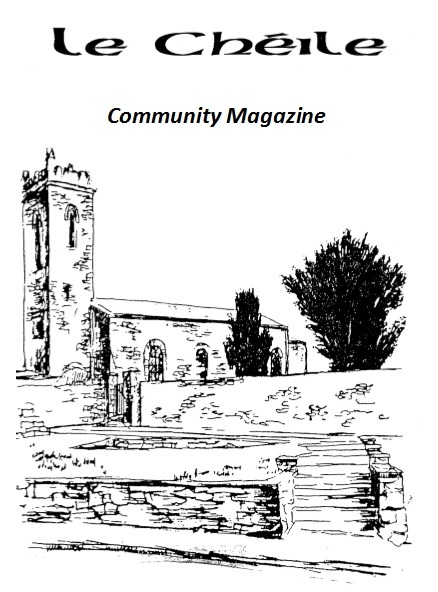 This entry was posted in Clane Community Council, Community Games, Tidy Towns on June 1, 2015 by admin.